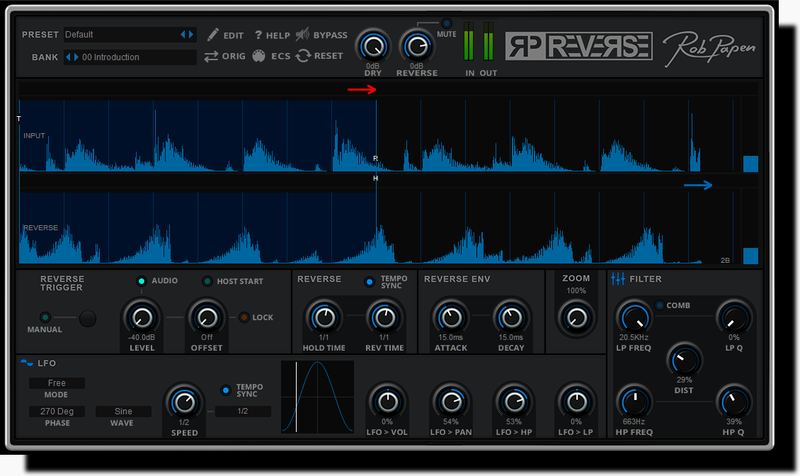 RP-Reverse reverses the incoming audio in a creative way, the resulting audio can be tempo synced to make it easily fit the reversed sound right into your track. 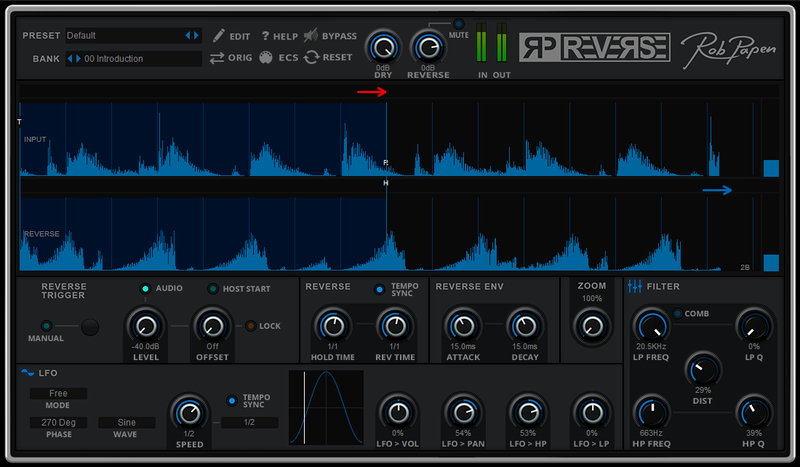 With RP-Reverse it is possible to trigger the recording of the audio (which is reversed) in various ways to which you can read about further on in the manual. In true Rob Papen style, it’s not just about the main feature! On the reversed signal you can also add distortion, two analog modeled Filters or a Comb Filter.